America has the highest rate of single-person households in the world, so it is no surprise that an interest in healthy “cooking for one” is on the rise. Nearly 28 percent of Americans are living alone, and for many, preparing home-cooked meals is not a high priority. Options like dining out alone, tossing packaged foods into the microwave, or bringing home fast food take-out meals on a regular basis can, however, become an expensive and less-than-healthy choice for singles. Yet, many find sitting down to a home-cooked meal alone an unlikely and inconvenient scenario. As food-conscious folks address the challenges posed by the single lifestyle, a number of new cookbooks specifically designed to promote the benefits and ease of cooking solo are growing in popularity. 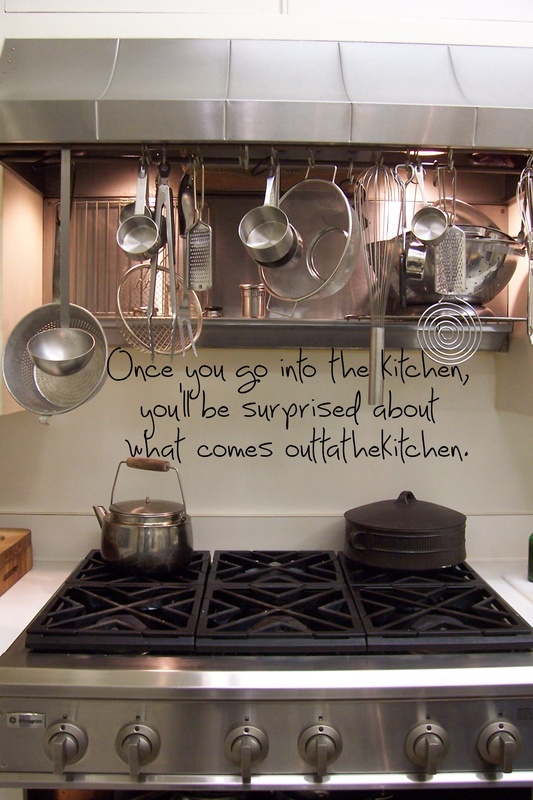 Cooking for yourself, they explain, is satisfying, enjoyable, and if done thoughtfully, avoids waste, time, and expense. In fact, living alone has its culinary advantages. It means that one does not have to cook for another person or cater to another’s tastes and food preferences. Also, the single’s kitchen presents an opportunity to creatively indulge in whatever meals one desires, where the cook is free to experiment and even to use the very same spoon to stir as to taste. The recipes in Solo Suppers are uncomplicated, but they are not gimmicky, shortcut meals for the busy single professional. Each dish is a composed, comforting meal designed to yield a mindful dining experience in the solitude of one’s home. They are sophisticated creations that produce a single meal based on mood or the season. Relaxing in preparation and offering a healthy indulgence, dishes celebrate the Zen of dining solo. Goldstein loves the versatility of sauces which she believes are “key to making food exciting.” Her pomegranate marinade, Romesco sauce, tangy mango chutney, and citrus-y prune sauce brighten up poultry, fish, noodles, or meat. Recipes for savory soups feature beans with shellfish, Persian style meatballs, lentils, various greens, and Asian-inspired noodle broths. Pasta dishes like Orecchiette with Broccoli and Chickpeas or Rigatoni with Eggplant, Meatballs, and Tomato Sauce are satisfying and inexpensive dinners for one. Goldstein loves healthy comfort foods like Polenta with Spinach and Peas along with dressed-up versions of macaroni and cheese. Several salad recipes featuring Goldstein’s passion for tart and refreshing vinaigrettes work well as both starters and main dishes. Elegant fare for one includes soufflés, Greek-style lamb steaks, and even a lobster dinner. Cheese and fruit desserts, a number of puddings, and a Spanish-inspired pain perdu with fresh berries are fine finishes for solo suppers. 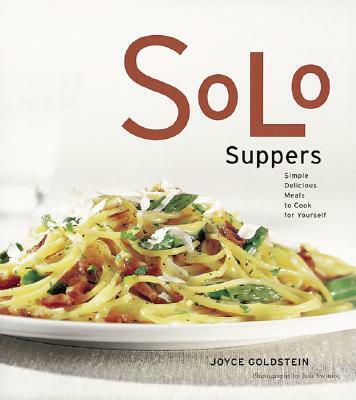 The cozy recipes in Solo Suppers reflect Goldstein’s belief that everyone “deserves a great meal, an excellent glass of wine, and the time to relax and enjoy” your own company. Solo Suppers teaches single cooks how to be their own best guest, but singles who master these delightful recipes may, in time, find that they are more than likely to have additional guests at their table. Because salmon is so easy to cook at home, I almost never order it in restaurants. I can poach it in white or red wine and make a sauce by adding some cream to the pan. When I want an elegant salmon supper, however, this is the recipe I return to over and over again. It combines three of my favorite ingredient: fresh tarragon, sautéed mushrooms, and salmon. If I don’t have an open bottle of white wine on hand, I use dry white vermouth, which is shelf stable. In a small skillet, melt the butter over high heat. Add the mushrooms and sauté until they give off some liquid, about 5 minutes. Remove from the heat and season to taste with salt and pepper. Pour the wine into a saucepan large enough to hold the salmon and bring to a simmer. Slip in the salmon, cover the pan, and poach gently over low heat until the salmon tests done (it should appear opaque when pierced with the point of a knife), 8 to 10 minutes. Remove the salmon from the poaching liquid with a slotted skimmer and set aside on a warmed plate; keep warm. Add the cream and 1 tablespoon tarragon to the poaching liquid and reduce over high heat to a slightly syrupy sauce. Add the mushrooms and warm through. Spoon the sauce over the salmon. Garnish with a bit more tarragon. This looks good. I will try it for 2. Do let me know how you liked this salmon recipe from Solo Suppers. Oooooo, the salmon with tarragon, mushrooms and cream sounds great and easy. Now if I can just find my beautiful stainless fish poacher pan in the warehouse. What isn’t made better with cream? Let us know how it turns out.